Are you looking for the perfect, elegant Christmas gift? Look no further! 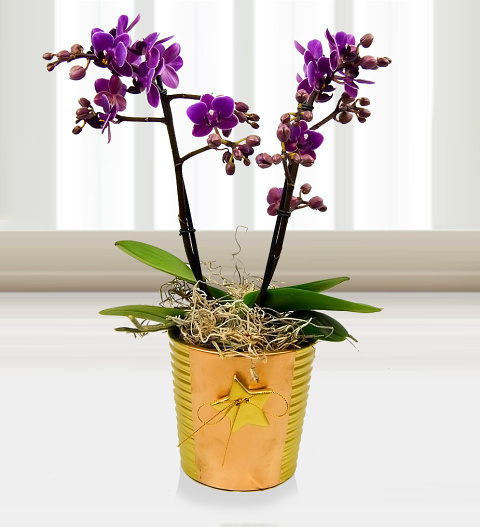 This potted Phalaenopsis Orchid is the picture of sophistication. Cheerfully presented in a decorated gold bucket for that extra festive touch.